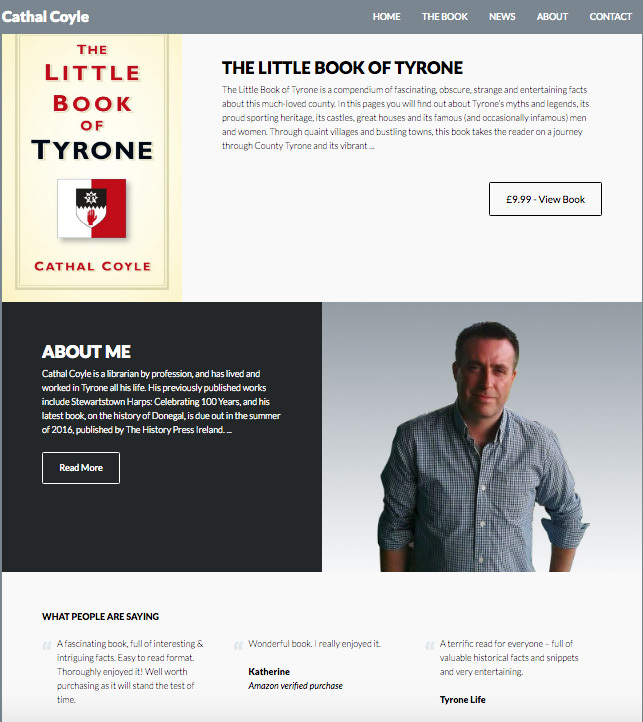 Following consultation with a range of both traditional publishers and self-publishing companies in Ireland and the UK, we are very pleased to introduce a range of custom-designed author websites, in partnership with Zorin Web Solutions. These websites have been designed specifically with authors’ needs in mind, and offer a facility to display one or multiple books, to link through to Amazon or other online retailers, or for authors to sell their own books directly. They also include an easy-to-manage process for authors to update their website with any publicity or reviews and to let readers know about events they will be taking part in. All author websites are optimized for desktop, tablets and mobile devices, and come with domain registration and your first year’s web hosting. To enquire about getting your own author website, just drop us a line.